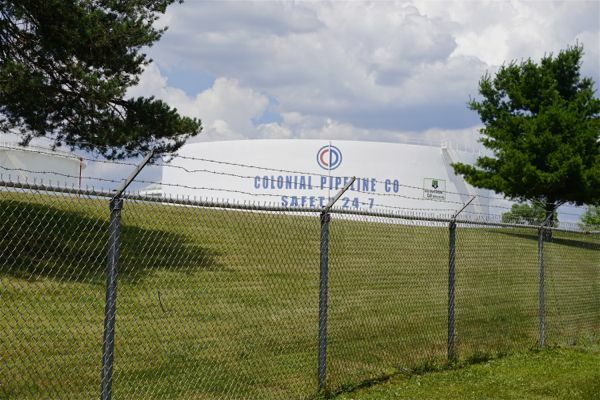 Will Sweeney protect our clean water from Christie’s bulldozers? The thought of Senator Sweeney meeting with DEP Commissioner Bob Martin to discuss complex regulations and “fix” them absolutely boggles the mind. It is totally inappropriate to negotiate back room political compromises on regulatory protections (for an example of exactly how Sweeney abuses the process, see: “Political Pressure On DEP: How The Game Is Played”). There have been several hours of testimony by experts, including DEP, before the Senate Environment Committee, over a period of months. EPA and FEMA lawyers and experts reviewed the rules as well. The rule proposal was over 900 pages and there is another several hundred pages of DEP’s responses to hundreds of public comments. And, of course, another hundred pages or more of a “concurrent proposal”. Of course, DEP Commissioner Martin will tell Sweeney that the proposal has been fixed already. 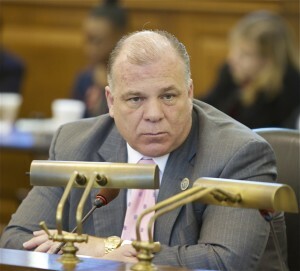 Sweeney probably didn’t think he’d face press scrutiny about his failure to post the SCR 66 veto Resolution. He is spinning. Sweeney has never been a supporter of strong environmental regulations, and he has supported the Christie DEP rollbacks. Obviously, the Star Ledger editorial board didn’t know that Sweeney opposed the Category One buffers back in 2007. Tell Sweeney No Deals on Clean Water! [End note: Truly “fixing” these rules would require, among other things, that stream buffer protections and surface water quality standards are enforced. As we wrote, that would provide a regulatory basis to kill major development, like pipelines. Legislative veto of DEP rules for failure to protect buffers and water quality would also be used in anti-pipeline litigation. Sweeney is a strong supporter of not only development, but pipelines in particular. 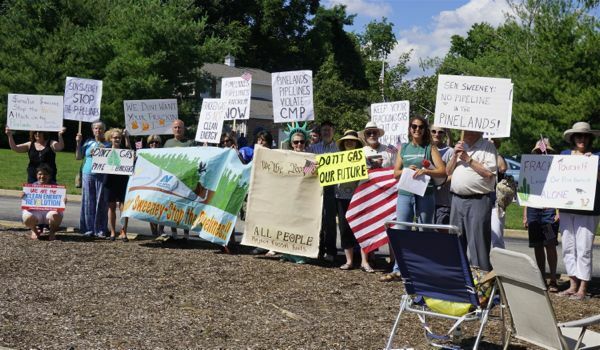 NEW BRUNSWICK, NJ – Activists and organizations supporting a transition to clean renewable energy and opposing the pipelines through New Jersey will have a July 4th potluck picnic at the office of Senate President Stephen Sweeney to oppose his support for the oil and gas industry, and invite him to sign a declaration of energy independence. 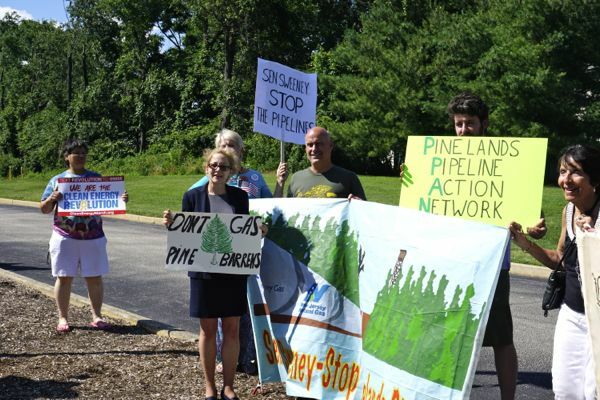 They will deliver 1,000 petitions calling on him to take action to stop pipelines through the Pinelands. 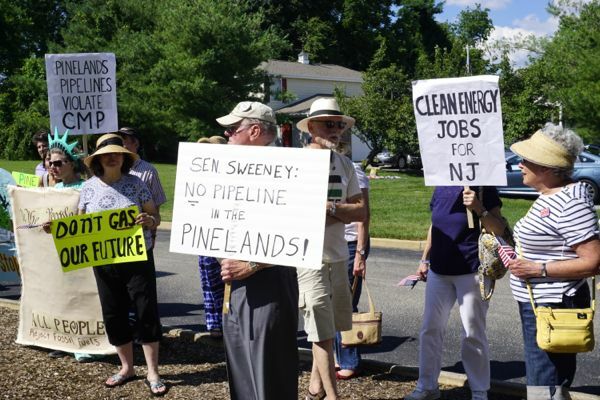 “Senator Sweeney’s support for the oil and gas industry is a direct threat to the Pinelands, and to a sustainable future for New Jersey,” said Food & Water Watch organizer Lena Smith. 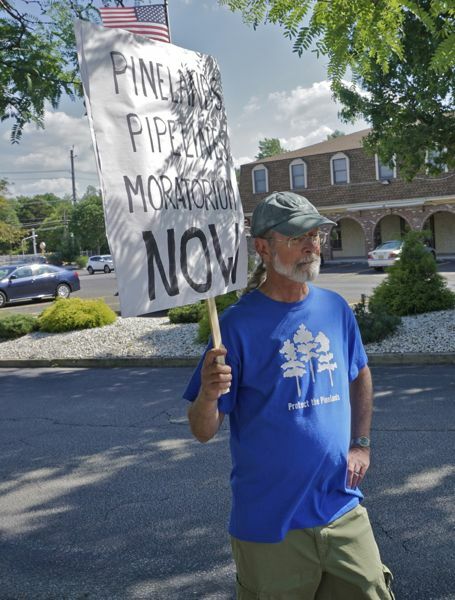 “He is vocally supportive of the dirty fracked gas pipelines through the Pinelands and is twisting the arms of New Jersey’s elected officials to clear the way for these pipelines to be built. 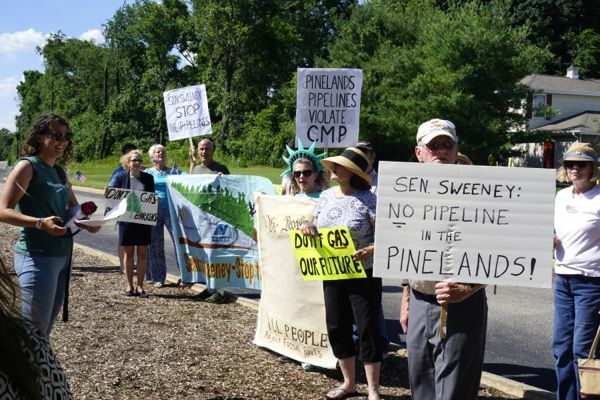 Sweeney was invited to attend the gathering, which was organized by Food & Water Watch, the Pinelands Pipeline Action Network, the Coalition for Peace and Justice, Unplug Salem, 350 South Jersey, Ramapough Lenape Nation, Don’t Gas the Pinelands Coalition, New Jersey State Industrial Union Council, People Over Pipelines, Citizens United for Renewable Energy and Progressive Democrats of America. 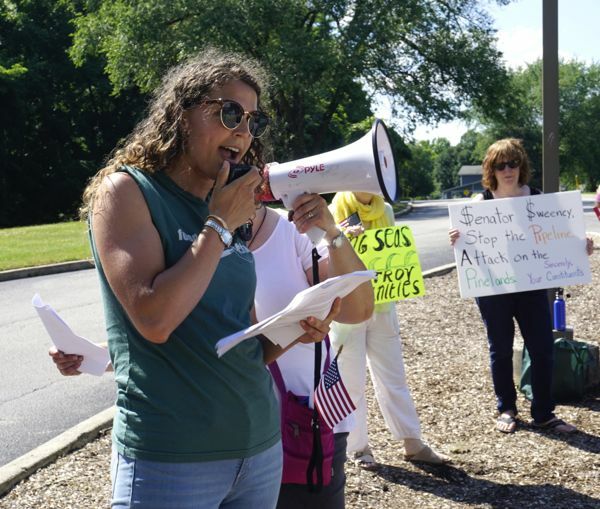 Sweeney needs to be told flat out that his chances to be the next Governor are significantly diminished by his continuing support for the fossil energy industry. 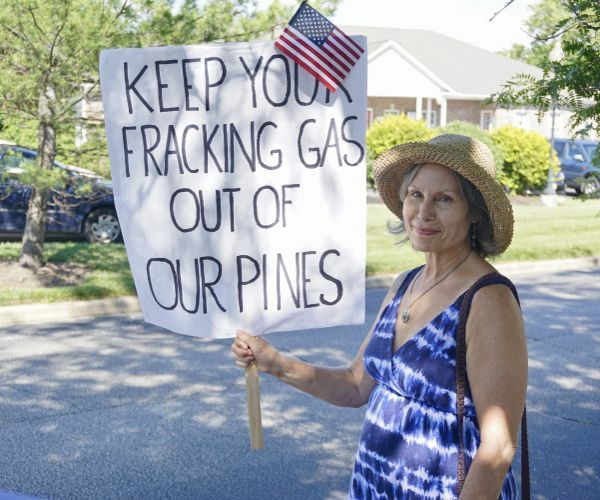 With respect to the South Jersey Gas Pinelands pipeline he supports, 4 prior Governors have opposed that, so he is completely out of touch with even main stream NJ bi-partisan politics. So, let’s rehash the day’s events. As the group assembled on a grassy knoll in front of Sweeney’s office (ironically a pipeline ROW), the police showed up. Alleging the need to protect us from some non-existent threat of attack from the rear flank and to keep us off private property, the cop wanted the group to move away from the grassy knoll to an island on a nearby roadway. The island location the cop pushed us onto was dangerous, because cars drove by on both sides. I took exception to the lack of respect for and interference with constitutionally protected activity, especially in the absence of any no trespassing signs or complaint by the private property owner. I suspect the ROW was public land anyway. I explained this to the cop with no success – he immediately admonished me for having an “attitude” based on my tone of voice – so went to Sweeney’s office to ask them to support us, because they didn’t want the political controversy of activists arrested outside Sweeney’s office. They agreed. I told the cop this. He backed off and went in to talk. 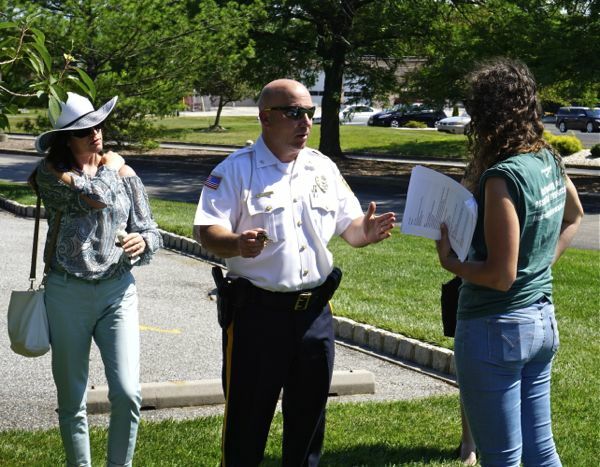 But came out of Sweeney’s office and said Sweeney’s District Office manager said they merely rented the property and were not authorized to allow us to use the grassy knoll. What two faced wimps. Here are photos of the event (still learning new camera – a used Sony mirrorless I picked up at a bargain price when I sold my lenses). The dire findings from the Report above are provided as a reminder and dose of reality. The reminder is for the conservation groups that formed the Keep It Green Coalition (KIG) to renew the Green Acres program funding. They used to work on land use issues too. They used to advocate for a host of protective strategies in addition to land acquisition, such as the State Plan, the Highlands and Pinelands regional plans, and various DEP regulatory programs. 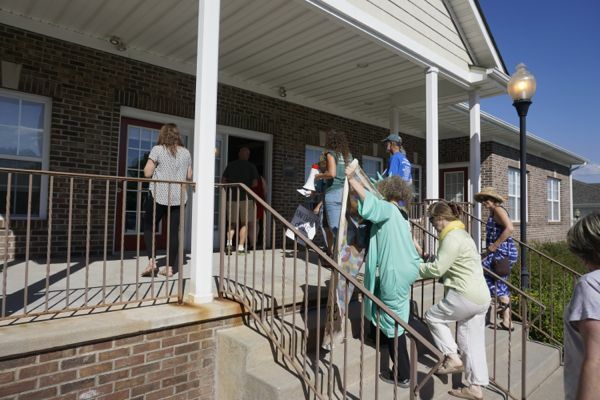 “We’ve been searching for this Holy Grail for a long time and now we have it,” said David Epstein, president of the Land Conservancy of New Jersey. I’ve argued that the selfish obsession is more of a White Whale than Holy Grail, causing all sorts of collateral damage and unethical behavior – starting with stealing funds that were previously Constitutionally dedicated to State Parks and core environmental programs. But, instead of fighting for new revenues for open space, an approach that has been supported by the voters and funded the Green Acres program for over 50 years, the KIG lacked the stomach for a fight and instead stole existing environmental money. reversed 20 years of watershed planning policy by permitting a new sewage treatment plant on Crosswicks Creek, a low flowing environmentally sensitive Delaware River tributary, to serve a massive new sprawl development on farmland. The pursuit of the Holy Grail is literally losing ground. Worse, various frauds have insinuated themselves into the vacuum on land use advocacy, including groups like Sustainable NJ and NJ Future and NJ Citizens Campaign and Together NJ. These groups reject a traditional advocacy role and do not work on State government planning and regulation in favor of demonstrably ineffective voluntary, local, corporate, consumer, and market based initiatives. 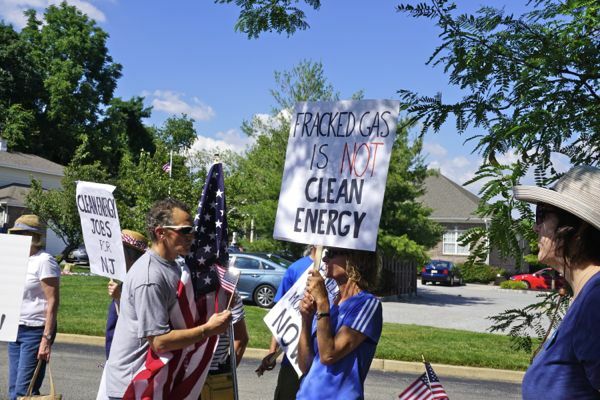 These faux “campaigns” divert resources and channel local activists into politically safe symbolic gestures, while they provide green cover for politicians and corporations and the Christie DEP. Big corporate oriented Foundations like Dodge and Wm. Penn have shifted their funding away from traditional aggressive advocacy work that focused on government planning and regulation, to funding the pursuit of the Holy Grail and politically safe Green cover projects. Back in 2002, after 8 years of Whitman Administration “Open For Business” rollbacks, the McGreevey Administration launched several land use and water quality initiatives (they are summarized in this post). Compare the 4,500 acres of lands acquired to protect water resources with DEP regulatory protections. 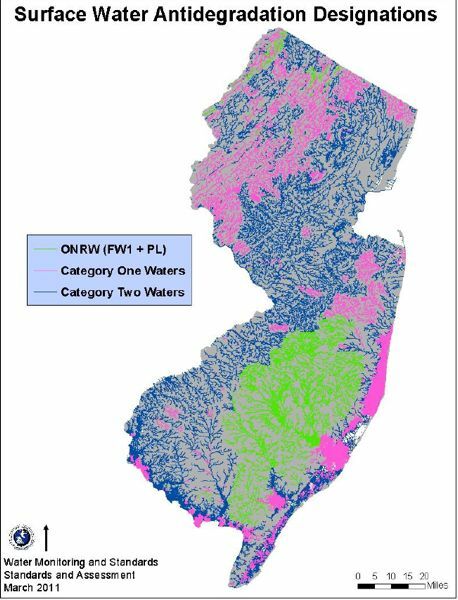 According to DEP, there are 18,126 miles of rivers and streams in NJ. There are 400,000 acres in the Highlands Preservation Area, almost a million acres in the Pinelands, and thousands more acres of wetlands and transition areas – all protected by regulation and all at risk of losing protections via regulatory rollbacks. So, the obsession with the Holy Grail needs to end and the KIG groups have got to get back to work on traditional land use advocacy work. That can start with defending rollbacks to C1 buffers and the DEP Highlands septic density standards. The text of the open space funding bill (S2456/A4017) is not yet posted on the Legislature’s website. Therefore, it is impossible to know what the deal really means at this point – and whether additional compromises were made in the DEP budget – regardless of what the press is reporting and legislators and environmental groups are claiming, so I’ll not comment on the merits. 1) how does the deal fund State Parks and core environmental programs slashed by the Open Space ballot question? Will $20 million be diverted from the Clean Energy Fund to restore these cuts? Will other DEP programs be cut or privatized to restore these cuts? Ironically, while proponents of the amendment argued that it was pro-environment because it promised a steady funding stream for open space, the amendment always had the potential to siphon off money from important environmental programs, including site remediation and water quality initiatives. The Governor was right – the environmentalists have been lying to the media. 4) what effect does the deal have on the pending legislative veto of Christie DEP flood hazard, storm water management, and coastal rules (SCR 66)? If the political deal was designed to avoid the first ever and embarrassing legislative over-ride of Governor Christie’s conditional veto, did the Christie negotiators extract a commitment from Democrats also not to embarrass the Governor by vetoing his DEP’s rules? “Even though we have the votes, if we override him, he could just wait us out for the next 18 months and not fund any open space [initiatives]” explained one Democratic senator, who declined requested anonymity because of the sensitive nature of the negotiations that were still unfolding late Monday afternoon. We assume that there is a similar “sensitivity” to a legislative veto of Governor Christie’s DEP rules. The final legislative session is Thursday, June 30. The Democrats have negotiations and deals in the works on budget issues as well. The legislative veto of the DEP’s flood hazard rules passed the full Assembly weeks ago, but the Senate version SCR 66 has not been posted for a vote in the Senate by Senate President Sweeney. DEP adopted the flood hazard rules back in May and last week formally proposed the smokescreen, officially known as the “concurrent proposal”. As we predicted, the waters are muddied (pun intended). The deal on open space is not only designed to avoid embarrassment of Governor Christie. There are political benefits for the Democrats too. Because the Keep It Green coalition made the veto over-ride appear as the number one environmental issue and the press gave it so much coverage, it makes the Democrats look like environmental champions. And that provides sufficient green cover that allows them to quietly walk away from the legislative veto of DEP rules (SCR 66) – which the press has ignored. 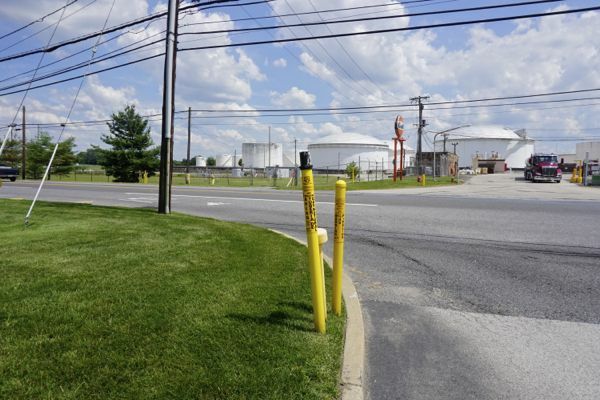 “This sets up a very dangerous game of bait and switch and spin – DEP could adopt the bad parts and promise to re-propose the fixes but never adopt them. 1. At the outset, the Keep It Green coalition (KIG) set very low expectations. The initial fatal flaw was the failure by open space advocates to seek NEW funding, as had been approved by the voters for 4 decades. Even Christie’s CV makes this point. Clearly, the KIG folks were intimidated by Gov. Christie’s categorical opposition to any new debt or new revenues and unwilling to fight for new money. 2. Because they would not fight for or seek new money, they diverted about $100 million/year in existing Corporate Business Tax (CBT) revenues. Those existing CBT revenues were originally dedicated by the voters in 1996 to key environmental programs – including water resources, toxic site cleanup, and State Parks. The impetus for creating the 1996 CBT was because over $500 million in environmental funding had been slashed and diverted by Florio and Whitman. (Full disclose: I did the analytical work on this and worked on drafting the legislative Resolution that got CBT on the ballot). The KIG eliminated this funding source and slashed funding for key environmental programs. 3. After failing to work for new money and diverting existing environmental funds, the KIG then pegged their revenue expectations to just $80 million per year, about one third of the average annual open space funding over the previous decade. They stole money and underfunded their own program! 4. Making that low revenue objective even worse, despite the fact that open space, historic preservation and farmland preservation needs far exceeded available funding and the deep cuts in funding, the Keep It Green Coalition supported a huge expansion of eligible uses for funds – for an entirely new program of “stewardship”. They wanted 20% of open space money dedicated to “stewardship” to fund their own pet organization projects, including logging on state lands. 5. Ironically, Governor Christie relied on the new “stewardship” allowable use to restore $20 million in funding to State Parks. 6. To cover up this incredibly poor strategy and weak compromise, KIG then duped voters by failing to tell them about the diversions that amount to deep cuts in core environmental programs. I’ve spoken to over 100 people and none were aware of this and all would have OPPOSED it had they known. 7. After all this abuse, the KIG Green crowd compounded errors by pushing the veto over-ride and again misleading the public about the implementing legislation and the status of the dedicated open space money. This gave democrats a pass for supporting open space and making the Gov. look bad (but without doing the heavy lifting to fight for new funding). Did it also give Democrats cover for running away from the veto of DEP rules? Right now, it sure looks that way. We’ll know for sure by Thursday. I know very little about the politics of the Farmland Preservation program – other than the greed and the attack on the Highlands and the lies of the Farm Bureau – or horse farms and horse racing, and even less about casino gambling. But what I do know is that the former is associated with idyllic landscapes and enjoys a very favorable public image, while the latter is associated with the mob and various social pathologies and cultural taboos practiced in places like the streets of Atlantic City. What two enterprises could be more different? 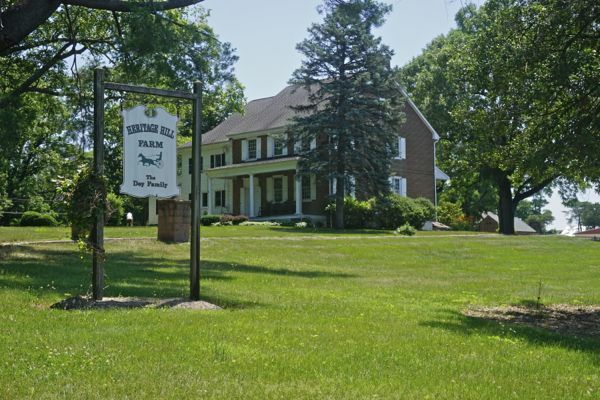 Heritage Hill Farm, spanning 500 acres in western Monmouth County, is one of the founding farms of the New Jersey Sire Stakes program. The Heritage Hill – HH – name was given to nearly 100 horses, including the world champion filly HH Shadow who was second in the 1986 Cane Pace and retired with 17 victories and nearly $280,000 in earnings.Heritage Hill stood 1972 Pacing Horse of the Year Isle of Wight, whose offspring dominated the New Jersey Sire Stakes in the late 1970s and early 1980s. The farm no longer stands any stallions – the last was Jaguar Spur — but the Deys breed and foal nearly 100 mares a year. Thinking this group of signs – like the handful of Trump signs out there – just a quirky family promotion at one horse farm, I ignored it. 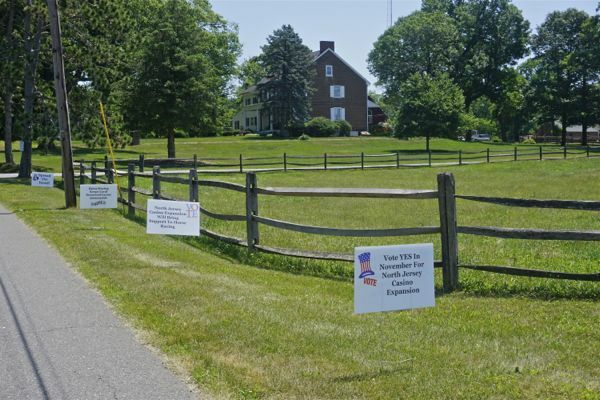 But a week later I saw another group of exactly the same signs at another horse farm in Chesterfield and I knew this was no isolated event, but rather an organized political campaign. Malinowski and Avenatti predicted in 2009 that the Garden State could lose its premier agribusiness which generated $780 million of economic impact annually, 7,000 jobs, $110 million in federal, state and local taxes and 57,000 acres of working agricultural landscape and open space if racing-related training and breeding farms left New Jersey. Only eight percent of acreage in the Farmland Preservation Program was used for horse-related activities and eleven percent of preserved farms were actually in the horse business (Malinowski and Avenatti, 2009). Acreage supported by equine-related interests made up 25 percent of the total farmland in New Jersey (Gottlieb, et al., 2009). This fact reinforced the argument that the state stood to lose this farmland to development if racing was no longer viable. It was also suggested that racing was not the only equine discipline in jeopardy if New Jersey racing was not sustained. Sport competition and recreational horse users also stood to suffer, as would traditional agricultural interests such as grain, hay, and straw farmers who continue to remain in business and maintain agriculturally productive open space due to the fact that their major customers are horse owners. Have these folks no knowledge of land use planning and regulation? They assume that all horse farms would be converted to development? That market forces alone determine land use? This worldview of sleaze and greed really should have come as no surprise, given the self-interested inside money deals, upward redistribution of public funds to wealthy elites, and avoidance of advocacy of “coercive” government land use planning and regulation I’ve seen in the open space preservation program that I’ve called “The Green Mafia”. So, enterprising investigative journalists out there, I smell a story – how much money is going from the casino industry to NJ horse farms to promote the ballot question? Who is paying who and how much? I’ll be voting “NO” on the casino question – and find it reprehensible that preservation of the landscape and open space are being used as pawns and a pretext to support the casino industry.